Great sporting events like today’s Super Bowl are highly symbolic, showing that it is possible to build a culture of encounter and a world of peace. By participating in sport, we are able to go beyond our own self interest – and in a healthy way – we learn to sacrifice, to grow in fidelity and respect the rules. May this year’s Super Bowl be a sign of peace, friendship and solidarity to the world. Some of this is of course unobjectionable. Indeed, Pope Pius X said something very similar about the Olympics. But it's one of the unfortunate aspects of the Francis phenomenon that many of us grit our teeth and want to resist pretty much anything he utters these days. I'm not saying that's particularly mature, but there it is. So when I heard about the Pope's Super Bowl speech, it made me want to spike a catcher and then beat up the umpire when he called me out. As most American readers know, the snarling figure in the title photograph, and the man "sliding" into the catcher, above, is Ty Cobb - arguably the greatest baseball player who ever lived. Cobb fought other players. He ran into the stands to fight heckling fans. In his off-hours he fought hotel elevator operators. It was the bloodiest fight I ever saw in baseball. Ty was a bit too fast for Evans. One of Cobbs' blows split Evans' left eyebrow, and another literally parted the flesh like a jagged dull knife would have done, on Evans' right cheekbone. Ty eventually knocked Evans down, got on top of him and was banging his head on the hard surface. It was at this time that a burly groundkeeper for the Washington club, who looked like he would tip the scale at about 230 pounds and probably could have bested either Ty or Billy (Evans), reached down and pulled Ty off of Billy and very authoritatively told them, "The fight is over, boys." Billy Evans was an umpire. 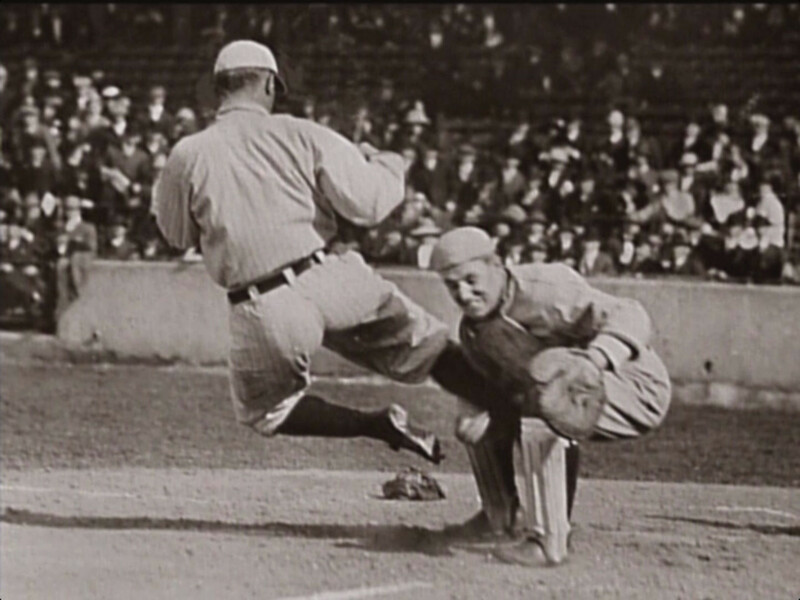 Recent research has shown that Ty Cobb's reputation for nastiness off the field was to a large extent exaggerated or even partly a result of outright falsification (by the sportswriter Al Stump, among others). Long branded a fierce bigot (he was from Georgia and seemed to have a different ethnic slur ready for every one of his opponents), he actually was an early and forceful advocate for breaking baseball's color barrier. And his grandson described him as a kind and generous man in his later life. But you didn't want to be a second baseman, third baseman or catcher (Cobb occasionally stole all three bases in succession) on the receiving end of one of his slides. Call it Cobb's version of the "culture of encounter." 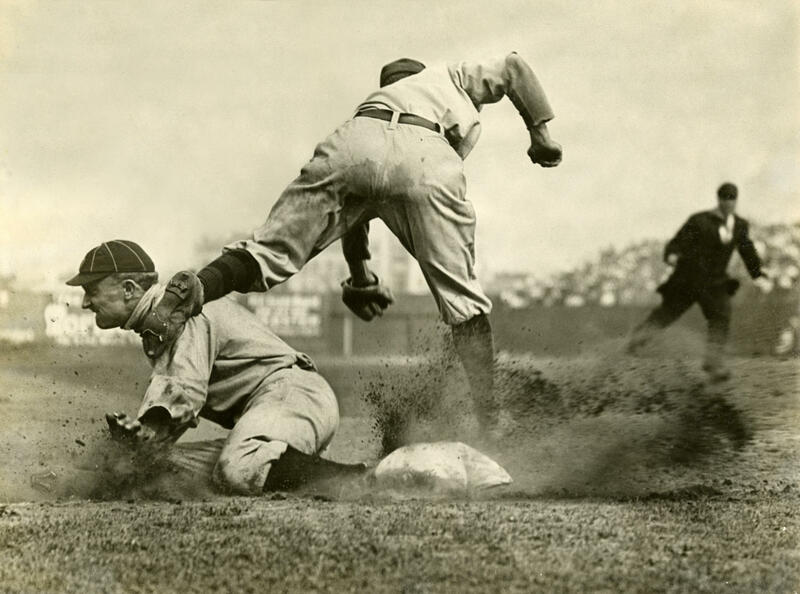 Ty Cobb died in 1961. Whenever I hear Ty Cobb's name, I think of the great line Ray Liotta uttered about him in the super good film "Field of Dreams". If you are a baseball fan, I'm sure you know it. I can't explain it or I'll give away the film, which is one worth seeing. I'm missing baseball tonight, as the Super Bowl is playing in another part of the house. I saw ten seconds of "Lady Gaga" and that was ten seconds too much. That the pope would have a video in a program that featured a woman who sung a favorable song about Judas explains why we are having such difficulties today. Man, he looks great--younger and healthier than when he ascended to the papacy. (Or he has a great make-up man). Must be energizing to be wielding so much power within the church. He is micromanaging a lot of head-rolling, sending out a lot of dog-whistles daily. Suppose today's was to Budweiser and Lady Gaga? Yeah.....gotta LOVE his SOLIDARITY message supporting Lady 'Gag..gag's' theme of SOLIDARITY! A tad hypocritical if you ask me since he refuses to wear the red shoes, but dons the BLACK. Sooooo where is his SOLIDARITY to the thousands of Christians dying for Christ in the Middle East? Guess he's 'picking and choosing' his SOLIDARITY issues. What we know about Cobb is wrong..